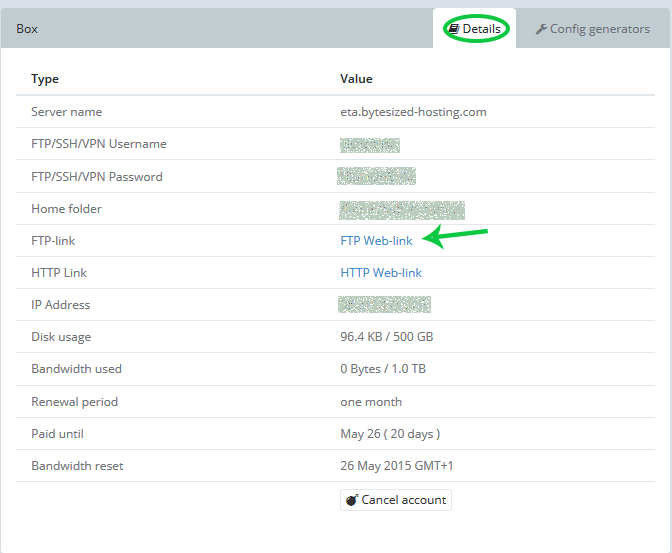 Connecting to your box with FTP should be a breeze, just follow this guide. Click Config generators at the top right corner. 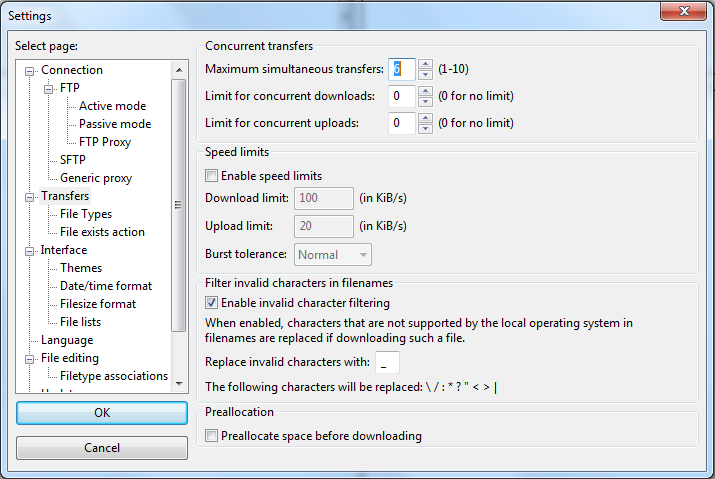 Under Filezilla section, choose Generate Config. Select Save file, remember where the config file is downloaded and press Ok.
Now open FileZilla on your machine and at the top left click on File and then choose Import. Navigate to the folder where you saved the xml file in and click on Open. A new pop-up should open and ask you which settings you would like to import. if you have followed the steps you should now have a ByteSized entry in your “Site Manager”. 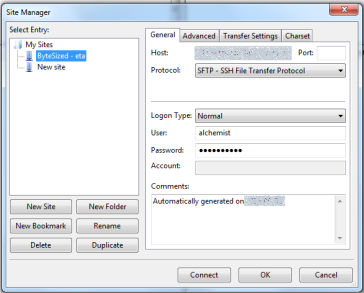 NOTE If you rather want to use SFTP under Protocol select SFTP. Go to Edit and select Settings. One thing you should do is up the max amount of simultaneous transfers to something like 6. If you just need to get one file quickly from your box you can use most browsers to connect to your box.